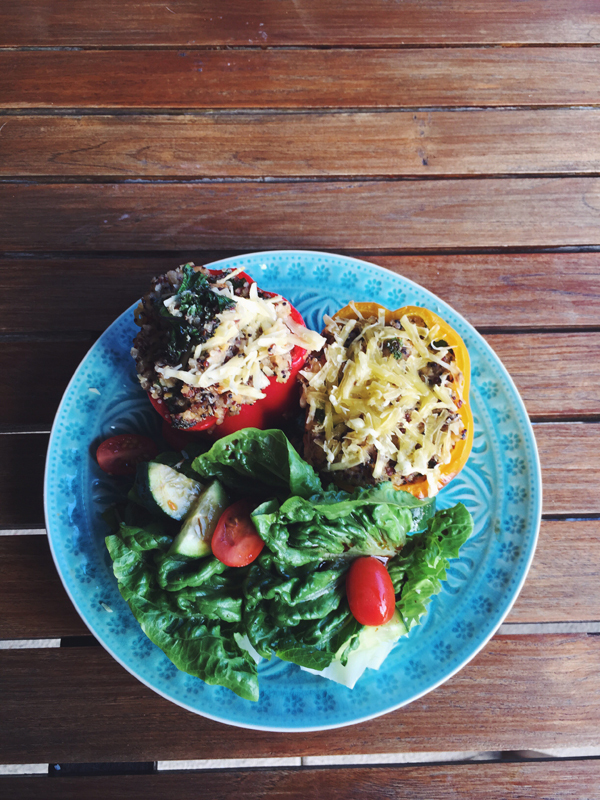 Roasted capsicums stuffed with quinoa, lentils, semi-sundried tomatoes, green and red kale, fresh chilli and cajun spices. Delish! 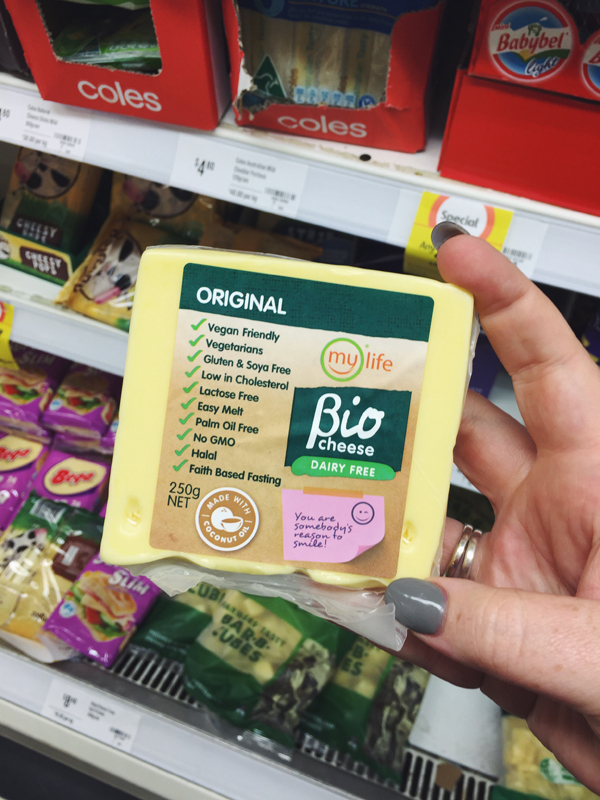 You’ll hear mixed reviews about bio cheese but I don’t mind it. It melts really well which is it’s greatest benefit, meaning for pizza and nachos for the like it works a charm! My local supermarket has now started stocking a new brand of bio cheese. I still like the Harris Farm bio cheese better in terms of flavour, but it’s annoying for me to acquire because there are no Harris Farm Markets near my house. It’s not a product I will buy too often because it’s pretty expensive and I’ve already chosen a life without cheese anyway, but it’s a nice-to-have option for those times when food is just a little better off with some cheesy melty goodness.